Providing friendly front-desk assistance to our Camp Hill and Lancaster teams, Kate is responsible for answering phone calls, scheduling client appointments, prepping for client meetings, and assisting other Client Relationship Specialists as needed. Kate received a Bachelor’s Degree in Music Education from DePauw University (IN). 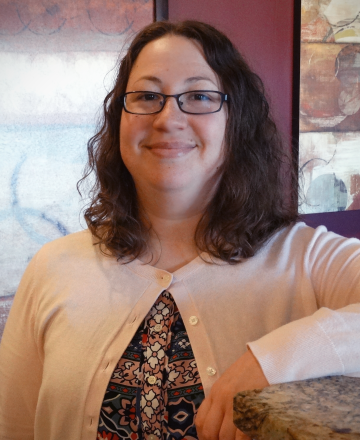 Before joining the JFS Team, Kate worked for Cohen & Company (formerly Arthur Bell CPAs) as the Front Desk Office Assistant/Administrative Assistant in their Baltimore office. Outside of work, Kate loves spending time with her godson Winston (6) and his sister Alice (8) and also enjoys bowling, mini-golf, and laughing! She attends Actionchurch in York, PA where she serves as Children’s Ministry Coordinator. Occasionally, you’ll find Kate performing as a substitute viola section player with the York Symphony Orchestra.